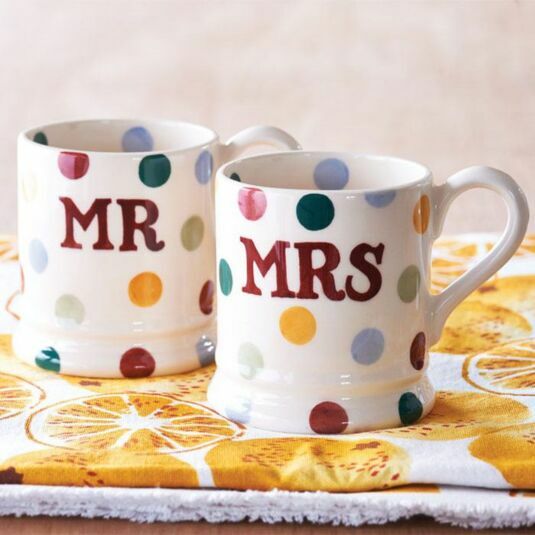 Celebrate and commemorate the marriage of two special people in your life with this beautiful set of Mr & Mrs Boxed Half Pint Mugs, part of the popular Polka Dot range from Emma Bridgewater. The perfect solution for that extra-special wedding or anniversary gift, this set of two Half Pint Mugs are designed with the popular Polka dot design across both pieces, combining simplicity with colour; each piece is sponged with circles of vibrant colour all around its surface, with even the interior of the mugs featuring the hand-painted touch. Each mug is hand-stencilled in a dark luscious red font, one reading ‘MR’ and the other ‘MRS’. 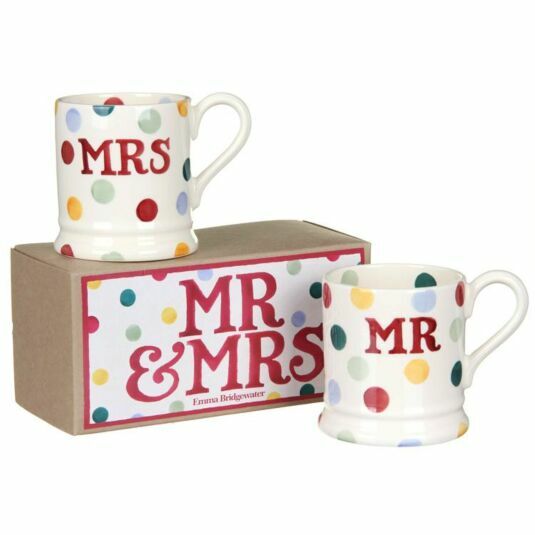 These stunning pieces of ceramic wear come beautifully boxed in a natural card box with polka finished decorative topping, with the words ‘Mr & Mrs’ adorning the top, making it a perfect gift to present to a newly wedded couple or to celebrate an anniversary of those closest to you. 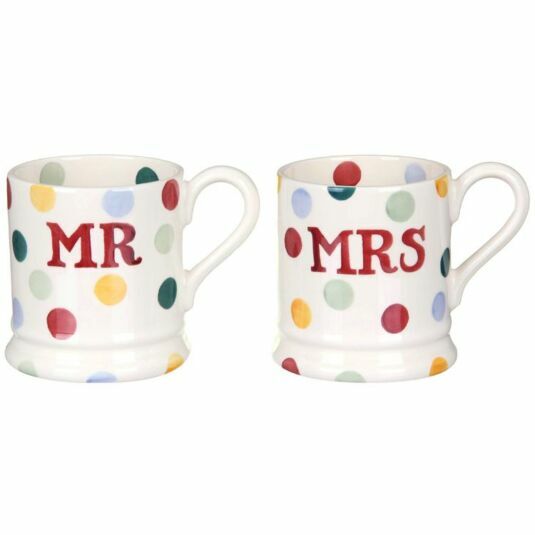 Psst … This pair of Mr & Mrs Mugs would match perfectly with the Polka Dot Mr & Mrs 2-cup Teapot! This is everyday Emma Bridgewater earthenware at its best! Polka Dot is a wonderful design to mix and match, because of the simplicity of the pattern and the variety of colours on the pieces: pale blue, pale green, dark green, yellow and red on pale cream earthenware. 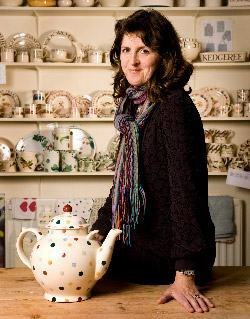 The Emma Bridgewater palette may vary between ranges, but her tonality is always similar, partly because of the sponge-printed nature of her designs. Because of this, her pieces will always work when mixed and matched together. The Emma Bridgewater classic dresser is never restricted to only one range and Polka Dot is the collection which blends all the others together. Arguably the most famous Emma Bridgewater design, possibly the most successful, certainly one of her earliest, Polka Dot is timeless, cheerful, and endlessly versatile.